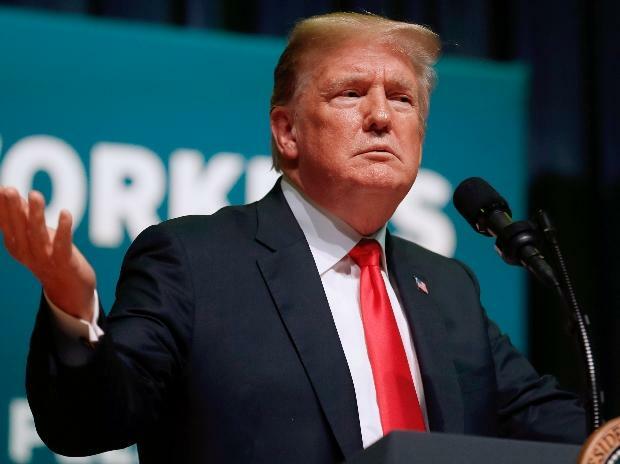 President Donald Trump on Saturday renewed criticism of the Federal Reserve and said the U.S. central bank's tight monetary policy was contributing to a strong dollar and hurting the United States' competitiveness. "We have a gentleman that likes a very strong dollar at the Fed," Trump said at the annual Conservative Political Action Conference in Oxon Hill, Maryland. "I want a strong dollar, but I want a dollar that's great for our country not a dollar that is so strong that it is prohibitive for us to be dealing with other nations." The U.S. central bank, after raising interest rates four times last year, has signaled recently that it will be "patient" before tightening monetary policy further, in a nod to rising concerns about the economic outlook amid financial markets volatility, slowing global growth and a trade war between the United States and China. "We have a gentleman in the Fed that loves quantitative tightening. We want a strong dollar, but let's be reasonable," Trump said. "Can you imagine if we left interest rates where they were .... if we didn't do quantitative tightening, this would lead to a little bit lower dollar." A weaker currency generally makes a country's exports more competitive. Powell has said he will not be swayed by political pressure and gave a clear assertion of the Fed's independence in early January when he said that he would not resign even if Trump asked him to do so. That followed reports in mid-December that Trump had discussed with his advisers the feasibility of firing Powell after the Fed raised rates again. Quantitative easing was the term applied to the Fed's extraordinary measure of buying massive quantities of U.S. government bonds to help stimulate economic growth during the financial crisis. The measure was undertaken to lower long-term lending rates after the Fed had dropped its benchmark overnight lending rate to zero. The Fed's benchmark overnight lending rate currently is within a range of 2.25 percent to 2.50 percent.